In case you missed it, the writing of this week’s Food Blotter was interrupted by the surprise announcement that MarQuee Lounge is closing after this weekend. We’ve seen indications that both entrepreneurs behind the nightclub have some new projects in the works, so we’ll keep you updated on that. The Bistro Box has arrived! A few weeks ago we told you about the beloved Renton-area food truck relocating to Spokane, and it apparently didn’t waste a single day in getting here. It’s licensed and ready to go for Hoopfest weekend, tentatively scheduled for a weekend debut on Main Avenue between Bernard and Washington. 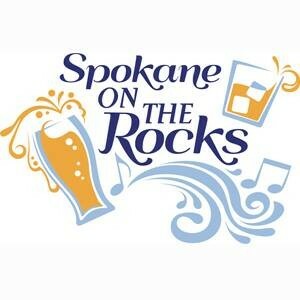 This week’s Entree has news of a soon-to-open all-organic cafe in Post Falls, plus details on this weekend’s big craft distillery and brewery event, Spokane on the Rocks. There’s also the big Bikes, Brews and BBQs event at the Kootenai County Fairgrounds. In print this week, we’ve got a full story about the exciting summer for Santé and an update on Luxe Coffee House. Just less than a week ago, Patit Creek Cellars opened its new downtown Spokane tasting room on West Sprague across from the Davenport. The Walla Walla winery has a popular wine club and we’ve heard good things about the riesling and the cabernet sauvignon, but you’ll probably just need to taste everything they’ve got. Last week we mentioned that a new Total Wine location was in the liquor licenses — sure enough, the next day they announced the new Spokane Valley store. We’ve still got some time to debate which is going direction, the drive way up North Division to the current store or the drive out the Valley, is going to be the less unbearable route to warehouse booze. Finally, the locally owned Coeur d’Alene IHOP that got hit by a car in May is reopening, fully remodeled, at 6 am next Monday, July 1. The restaurant shut down for repairs after an intoxicated driver crashed into the south side of the building on May 19. Here’s the whole press release via the Spokesman’s Huckleberries blog.